As one of the most sought after real estate markets in all of Orange County, Newport Coast is truly the epitome of Southern California's coastal lifestyle. 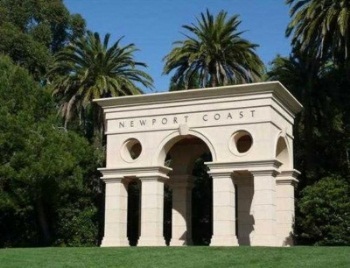 The entrance to this breathtaking landmark community is announced by the presence of the beautiful Newport Coast Arch along the Pacific Coast Highway while the main community is located in the San Joaquin Hills overlooking the Crystal Cove State Park. The variety of home types is extensive, ranging from small condos to ocean view mansions. 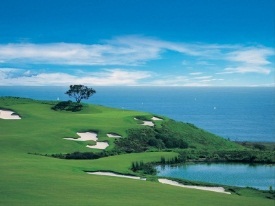 Newport Coast is an extremely affluent coastal community located just to the south of Newport Beach. Many of the homes for sale of beautiful Newport Coast are favored with astonishing ocean views, especially the homes located above the Pacific Coast Highway in the Crystal Cove and Pelican Hill communities. This famous highway (which is also more officially known as State Route One) winds its way around from the northern beaches of Redondo and Hermosa all the way through Huntington Beach. It continues past the Newport Coast area and southward towards Newport Beach and Laguna Beach. With views of glistening white sands and the Pacific Ocean, homes along the Newport Coast enjoy an incredible sightline, with an equally impressive number of amenities available nearby. These include first-rate shopping at quaint local businesses in Laguna Beach and Corona Del Mar, strolling down the lovely, tree-lined streets leading to public beaches in Newport Beach, and close proximity to large, world-famous malls such as South Coast Plaza and Fashion Island. Even a cursory glance at the area should make it come as no surprise that the housing prices for Newport Coast real estate are quite expensive. With prime real estate for sale throughout Newport Coast, prices often will easily range into the many millions of dollars. With that in mind, however, prospective homebuyers looking at buying in the Newport Coast area will find distinctive and lovely homes in recently-built neighborhoods, as well as a number of incredible mansions overlooking the ocean offering one-of-a-kind panoramic sunset views. A list of points of interest near Newport Coast always should include the beachside community of Laguna Beach, the lovely nursery of Rogers Gardens, amazing Balboa Island, Newport Harbor, and the piers in Newport Beach and Huntington Beach. Naturally, it is ideal for many families and individuals that both Disneyland and Knotts Berry Farm are among the world-renowned family attractions that are located but 20 miles away from Newport Coast. In addition, it is a prime location for those who are seeking ready access to the major cities of Southern California. For example, the beautiful cities of San Diego and Santa Barbara are between two and three hours' drive from Newport Coast, and commuting to downtown Los Angeles calculates out to a very reasonable fifty mile round trip. Many prominent individuals of means who work in Los Angeles, but crave a more laid back and scenic living arrangement, choose to reside in Newport Coast and commute to the city. There is an assortment of other enjoyable events in the Newport Coast area, as well, including the Laguna Beach Pageant of the Masters, Dana Point's annual Tall Ships Festival, and the frequent and exciting surfing competitions in Huntington Beach. Public beaches to visit in the area will certainly include Corona Del Mar State Beach and nearby Crystal Cove State Park, which are worth a trip almost any time of year. The beaches in the Newport Beach area have been touted as some of the cleanest coastline in the entire country, and the city of Newport Beach itself lives up to the challenge of housing some of the most distinctive families and individuals along these pristine shores. The beaches offer something for every beach lover, from sunning and relaxing on the sand, to strolling and playing in the surf, to the yearly competition for the nation's largest and oldest sandcastle contest. This event is held each year at the end of the summer season. In this contest, the enjoyable beach pastime of creating sandcastles is transformed into a veritable art form, as talented seashore sculptors transform piles of wet sand into elaborate works of art for the beach-going public to enjoy. In fact, thanks to the tremendous weather provided by Newport Coast's Mediterranean-style climate, there really isn't a bad time of year in this area of Orange County! Summers range from warm to hot, with temperate spring and fall weather (that would count as summer in many other areas). Even the middle of winter in Newport Coast is only cool, and frigid temperatures simply do not strike this area of the Pacific Coast at all. The city of Newport Beach, which is the administrative head of Newport Coast, has its public school needs met by the Newport-Mesa Unified School District (or NMUSD). The two public high schools in the NMUSD are Corona del Mar High School and Newport Harbor High School, and Corona del Mar High School also offers the middle school grades on the same campus. This is very convenient for families with children who span the high school and middle school grades. In some other areas of the community, the Ensign Intermediate School provides middle school education. Other schools serving the NMUSD area include the Sage Hill School and Harbor Day School, as well as Our Lady Queen of Angels School. Younger children who are educated in the city's tremendous public elementary schools will attend Roy O. Andersen Elementary, Newport Elementary, Lincoln Elementary, Eastbluff Elementary, Mariners Elementary, Newport Coast Elementary, Newport Heights Elementary, or Harbor View Elementary schools. Private school options are also available. Preschool children will also have plenty of options in the Newport Coast area, including Montessori schools and plenty of private denominational and secular schools. Find out more about Newport Coast homes & houses for sale, as well as other real estate opportunities including off market and pocket listings, by contacting The Aaronson Group today!